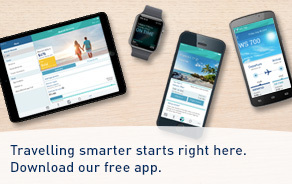 WestJet, you and Glasgow. Together again. Starting May 2, 2016, WestJet will be resuming daily service from Halifax, Nova Scotia to Glasgow. Direct (same aircraft) flights from Toronto will also be available, along with great connections from other WestJet cities.† What are ye waiting for? 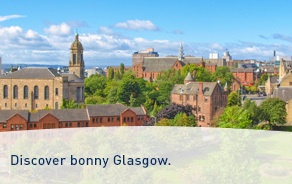 Low fares to Glasgow and more destinations. †Schedule is subject to change without notice. **Available daily through connections. Guests flying from Toronto will stop in Halifax but will have the same plane to Glasgow.